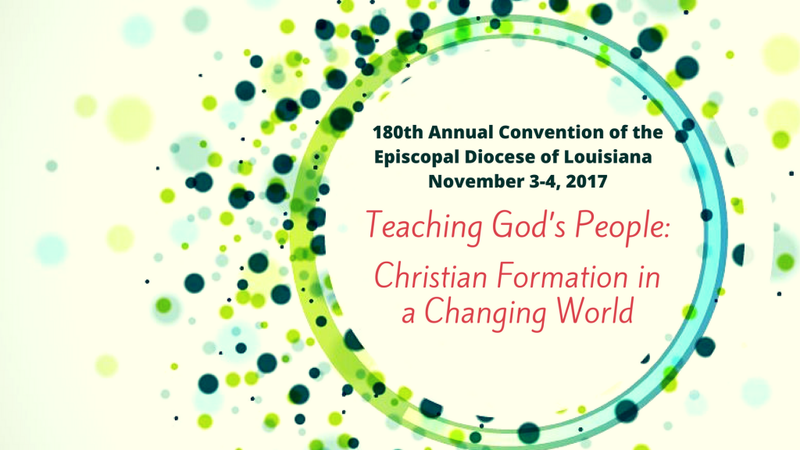 The 180th Convention of the Diocese of the Episcopal Church of Louisiana was held November 3 & 4, 2017 at St. James Episcopal Church, 205 N Fourth St, Baton Rouge, LA. Pre-Convention Meeting: Wednesday, October 18 at 6 p.m. The Pre-Convention Meeting was held Wednesday, October 18 at 6 p.m. at St. Augustine’s Episcopal Church. The Treasurer is elected by The Convention. The duty of the Treasurer to receive and disburse the funds of The Diocese in accordance with the annual budget. The Treasurer shall make an annual report to The Convention of all sums received and disbursed during the preceding year and shall include in such report a statement of the condition of the assets of each Parish and Diocesan Mission with regard to its annual financial commitment to The Diocese for the work of the Church.